The Los Angeles Unified Board of Education is again looking for a new superintendent, after Michelle King recently announced she is battling cancer and will be retiring in June. All Californians should care about who is selected to lead the district that educates more than one in ten students in the state. 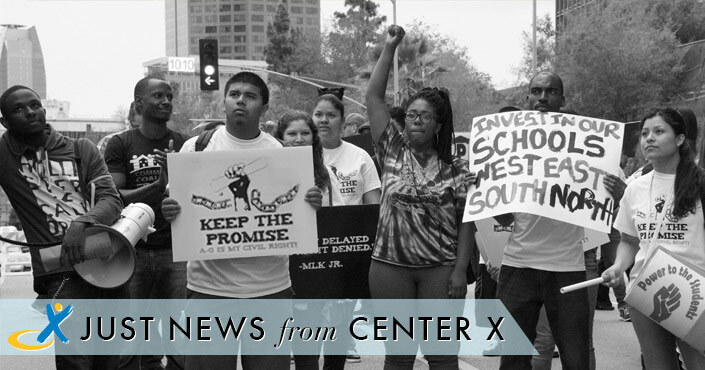 Districts across the state are following Los Angeles Unified’s efforts to address the conflict and polarization that has been exacerbated by an unfortunate and inaccurate distinction between “pro-charter” and “anti-charter” advocates. The Los Angeles superintendent selection process will either lead the way towards greater division, or show us how to work together for the education of all our students. For these reasons it is essential that the board choose its next superintendent via a unanimous or near-unanimous vote. Wide support will be critical to securing a superintendent who enjoys the support and trust required to lead our diverse district. Unfortunately, the board is rushing on a fast track with limited public involvement, setting the stage for a narrow and potentially divisive vote in April. The Every Student Succeeds Act becomes a working reality in district central offices and schools this fall. But it’s unclear if the law, which passed in a haze of rare bipartisanship more than two years ago, will live up to its promise. ESSA allows states—rather than the federal government—to ride herd on accountability, school improvement, and teacher quality, while requiring them to maintain key protections for vulnerable groups of students, such as minorities, English-learners, and those with disabilities. But already, clashes are occurring at the state and federal levels over the right balance between those two priorities, on issues such as calculating school grades. And although state leaders have hailed the flexibility in ESSA when it comes to setting their own course on key aspects of accountability, some critics argue they aren’t doing enough to take advantage of it. So what are the big questions facing ESSA as it moves out of the realm of congressional language and into the world of day-to-day schooling? Here’s a quick rundown from our progress report on the nation’s main federal education law. returned to the picket lines on Tuesday in their effort to secure more education funding from state legislators, forcing the cancellation of classes for public-school students in Oklahoma City and Tulsa. The picketing marked the continuation of a strike that kicked off on Monday, when tens of thousands of educators in about a third of Oklahoma’s school districts walked out, affecting 300,000 of the state’s 500,000 students. Education Secretary Betsy DeVos met with a group of civil rights leaders, parents and teachers Wednesday morning to discuss the impact of Obama-era guidance that calls on schools to reduce their reliance on suspensions and to consider whether racial bias plays a role in their disciplinary practices. The examination of this guidance is part of DeVos’ work as leader of a new Federal Commission on School Safety, although she has reportedly been thinking for months about rescinding the guidance. When he graduated from college more than a decade ago, Mario Suarez knew two things for sure: He was going to be a teacher and he was going to transition from female to male. Right after graduation, he landed a job as a high school algebra teacher in Austin, Texas. “I was already living outside of the professional life as a male,” he says. “So the next step, through my therapist, she suggested coming out in the workplace.” But because his workplace was a high school, that meant Mario, now 34, wouldn’t only be coming out to his co-workers, but to the hundreds of students, and their parents, who cycled through the school each year. Mario says that when he approached his principal at the time to discuss his transition, “He asked me, ‘How would you feel if you started fresh somewhere else?’ ” But Mario didn’t want to leave. He admired his colleagues and his students, he says. So, he stayed. And during his transition, his students asked him a lot of questions that he said came from a place of pure curiosity. He prepared for a lot of questions from parents, too, but to his surprise, those questions never came. Students at Howard University occupied the campus’s Johnson Administration Building in protest in 1968. They did so again in 1989. Those occupations lasted four and five days, respectively, and ended with varying degrees of success. Now, current Howard students are in day seven of an occupation of their own. It is the longest takeover of the building in the institution’s history. The dynamics currently driving campus activism are coming to a head at the illustrious historically black university in the nation’s capital. And Howard’s experience, and in particular the unprecedented length of the students’ protest—even though the university may never meet their demands—may be a harbinger for the sort of tenacious pushback on long-simmering issues that other college leaders might soon encounter. In late March, a student organization “dedicated to the liberation of Howard University” called HU Resist released a list of nine demands, which ranged from reasonable to extreme. Some of the demands are broadly reflective of student grievances across the country: The protesters want the administration to do more to address campus sexual assault, provide more support for mental health care, and curb tuition hikes. Other demands were more Howard-specific, and a few of those were quite far-reaching: Students want the power to “directly propose new policies and revise existing policies”; ratify all hiring of administrators, trustees, and faculty; and most of all, they want the resignation of the university’s president, Wayne A.I. Frederick, whom they blame for many of the university’s issues and who, they argue, is too cozy with the Trump administration. The group posted their demands on Twitter on Sunday, March 25. Then, two days later, scandal struck the campus: An anonymous whistleblower released information alleging that a handful of employees appeared to have, for years, embezzled financial-aid money. Three weeks ago, Daniel Morales was largely untouched by the stranglehold U.S. Immigration and Customs Enforcement has had throughout California as they’ve pumped more agents into the state and stepped up enforcement. That’s when his father — an undocumented 44-year-old man from Delano — went south for work, was picked up by ICE, detained in a Santa Ana detention facility and then deported back to Mexico, Morales said. He had no criminal background, Morales said. “I was devastated because my family was torn apart,” Morales said. For days, he had no idea where his father was or whether he would ever see him again. An unintended victim of a massive scaling-up of immigration enforcement operations throughout California, Morales said he felt helpless. The California education code actually requires that all public school students have access to arts education, but in practice, not all kids get it. Santa Monica-area state senator Ben Allen has proposed a creative solution: SB 933. Rather than enforcing the education code through policy, if passed, it would use money to incentivize districts to find ways to provide arts for their students. The bill would take advantage of the state budget surplus to create a one-time grant program to help underserved schools and districts provide arts education to their students, and to support districts with strong existing commitments to arts instruction. But when Allen, who also chairs the state Senate Education Committee, opened up the committee’s hearing on Wednesday morning, he had to start with a clarification. In the bill’s analysis, the California Music Educators Association was listed among about 60 organizations that support the bill, but, according to the group’s president Scott Hedgecock they’ve yet to make a call either way. “We’re watching,” Hedgecock told KPCC ahead of the hearing. “We did not choose to support, nor did we choose to oppose.” The mistake points to a tension revealed by the bill: while many arts education advocates applaud the goal of SB 933, some professional educators are skeptical of the approach this program would take. The week before winter break, snow is piled up around St. Louis Park High School, a low-slung, rambling brick complex in suburban Minneapolis. And more snow is falling. This is a big, diverse school with proud roots. Alumni include Joel and Ethan Coen, who shot their semiautobiographical 2009 drama, A Serious Man, in this area, once a Jewish enclave, which today has immigrants from all over the world. But in 1998, when Angela Jerabek was a school counselor for freshmen here, she was “discouraged.” For five years running, about half the ninth-grade students had been failing at least one course. “I went to the principal to say, ‘I don’t think I’m doing this job well and I feel like I should resign.’ ” Her principal had a different idea. “He said [the problem] wasn’t just with me or just with our high school. That this really was an issue that was occurring in high schools across the country, and that we really needed to look at a new solution.” And he challenged her to come up with one. One of the biggest questions in education is whether it’s even possible to turn around a low-performing school. The Obama administration spent $7 billion on school turnarounds, and their final verdict was that nothing really worked. The solution Jerabek developed is called the BARR method, for Building Assets, Reducing Risks. And, she has an unusual amount of evidence. Out of 172 projects in a big federal innovation grant program, BARR is the only one that progressed through randomized controlled trials to win grants at all three levels: innovation, development and scale-up. Problems with California’s database of school chronic absenteeism rates could be more widespread than the state Department of Education previously acknowledged. The department has recently begun adding notes to school chronic absenteeism data posted on its DataQuest website warning that the statistics may be unreliable. A page for San Francisco Unified, a district in which 83 schools reported zero absences, now includes a note that reads, “This district has notified the CDE that they have inaccurately reported data for one or more cells on this report. Please contact the school district for details.” Those are not the only schools for which absenteeism data collected by the state could be incorrect, however. Officials from seven continuation high schools contacted by EdSource, which were not among those the state says claimed perfect attendance, said the chronic absenteeism rates reported for their schools are incorrect as well. The misuse and overuse of standardized testing has greatly damaged education. The harm has been most severe for low-income and minority-group children, often turning their schools into little more than mind-numbing test-preparation programs. The evidence clearly shows it has failed to improve educational outcomes. The good news is the nation is making slow progress toward leaving the high-stakes testing era behind. This progress is gradually removing major impediments to genuine assessment reform. But what would that look like? Are there good models? The New York Performance Standards Consortium is an excellent example for high schools that is also relevant to elementary and middle schools. The consortium focuses on inquiry-driven, project-based learning measured by performance-based assessments — and its success with the most vulnerable students makes its outcomes particularly impressive. The consortium is made up of 38 traditional public high schools. Thirty-six are in New York City. These follow the same admissions process as other New York City high schools that do not require entrance exams. The student populations largely mirror the city’s student body, with nearly identical shares of black and low-income youth and students with disabilities, and higher percentages of Latinos and English language learners (ELL). Students enter consortium high schools with slightly lower English Language Arts and math average scores than citywide averages. A new report, “Redefining Assessment: Data Report on the New York Performance Standards Consortium,” shows that consortium schools significantly outperform other New York City public schools. Students continue to go hungry on college campuses. While experts differ on the scope of the problem, the issue of students lacking basic needs, both food and shelter, has gained significant traction, both politically and among university administrators. The new report released yesterday will likely restart the conversation over students’ access to food — it quickly attracted considerable media attention, even though its authors note that it can’t be considered a national picture of these issues. The study, the first to include four-year colleges and universities, comes from one of the most prominent researchers on this front, Sara Goldrick-Rab, a professor of higher education policy and sociology at Temple University and founder of the Wisconsin HOPE Lab. Narrowing disparities in student achievement — test scores, graduation rates and the like — is at the heart of California’s new school improvement system. Starting this fall, districts must also show how they are closing another gap: the distribution of inexperienced, mis-assigned and “ineffective” teachers — at least in the minimal, much-criticized way that the state has defined the term. This gap is important because in some low-income schools, where turnover is high, a disproportionately high number of the least qualified and least experienced teachers are teaching the most challenged, struggling students. That’s why Congress made the equitable assignment of qualified and effective teachers a priority of the Every Student Succeeds Act. To a similar extent, it was also a priority of the law that it replaced, the No Child Left Behind Act. Both set requirements for state spending of federal funds for improving low-income schools. “The quality of individual teachers is arguably the most important thing affecting learning in school,” said Brad Strong, senior director of education policy for Children Now, an Oakland-based nonprofit that advocates for underserved children. So giving low-income students teachers who are as effective and experienced as those for higher-income students “is a critical factor” if the state is to achieve equity and fairness in education, Strong said. Black students, boys, and students with disabilities were disproportionately disciplined (e.g., suspensions and expulsions) in K-12 public schools, according to GAO’s analysis of Department of Education (Education) national civil rights data for school year 2013-14, the most recent available. These disparities were widespread and persisted regardless of the type of disciplinary action, level of school poverty, or type of public school attended. For example, Black students accounted for 15.5 percent of all public school students, but represented about 39 percent of students suspended from school—an overrepresentation of about 23 percentage points. Officials GAO interviewed in all five school districts in the five states GAO visited reported various challenges with addressing student behavior, and said they were considering new approaches to school discipline. They described a range of issues, some complex—such as the effects of poverty and mental health issues. For example, officials in four school districts described a growing trend of behavioral challenges related to mental health and trauma. While there is no one-size-fits-all solution for the issues that influence student behavior, officials from all five school districts GAO visited were implementing alternatives to disciplinary actions that remove children from the classroom, such as initiatives that promote positive behavioral expectations for students. Education and the Department of Justice (Justice) documented several actions taken to identify and address school discipline issues. For example, both agencies investigated cases alleging discrimination. Further, to help identify persistent disparities among the nation’s schools, Education collects comprehensive data on school discipline every other year through its Civil Rights Data Collection effort. When first-grade teacher Alejandro Gac-Artigas noticed it took his North Philadelphia students until Thanksgiving to return to the level of reading they had achieved before leaving for summer break, other teachers told him, “’That’s just the summer slide,’” he said. “As if it were a law of nature that growing up poor, for every two steps you take forward during the year, you’re going to take a step back during the summer.” He looked into the research, including a Johns Hopkins University study showing that in low-income areas, summertime learning loss during elementary school has a cumulative effect and accounts for two-thirds of the achievement gap seen later during high school. “But none of [the research] could answer for me — why is summer slide unique to low-income communities,” Gac-Artigas said. “Wealthier kids have every bit as long a summer vacation and they’re not going backward. What’s the difference?” He realized “summer slide” is a symptom of a deeper problem. “Low-income parents have largely been left out of the process of educating their kids, and too often our system treats them as liabilities rather than as assets,” he said. The time children spend out of the classroom and at home often had little educational value and they experienced disadvantages from it. Five months ago, the Los Angeles Unified School District was locked in a “game of chicken” with the leaders of almost two-dozen L.A. charter schools — a showdown that appeared headed for a crash. The showdown was over the “district-required language,” a template that every charter school needing the school board’s permission to open or to stay open in L.A. Unified had to fill out. If the dispute sounds wonky and bureaucratic, that’s because it was — but the leaders of 20 schools felt so strongly about it that they were willing to put their charters’ futures on the line. As it was, staff in the L.A. Unified Charter Schools Division could change the boilerplate of the “district-required language” whenever and however they wanted. Essentially, district staff could unilaterally decide which school district rules they wanted charter schools — which are publicly-funded schools run by outside groups — to follow. So in November, the leaders of about two-dozen of these schools refused to follow the “district-required language,” essentially daring the district to deny their schools’ charter petitions unless something changed. District officials weren’t budging, fearing the changes would free the charter schools from too much oversight. But the two sides stayed at the negotiating table, even into the hours before a critical school board meeting. They struck a last-minute deal to avoid the messy charter revocations. And then, for months afterward, the two sides kept talking — the leaders of 13 charter schools, district officials and representatives of the California Charter Schools Association. Fast-forward to Tuesday: L.A. Unified school board members voted 6-0 to formalize and add a few finishing touches to the deal — a moment that charter leaders and district officials said represented a significant thaw in a sometimes-icy relationship between the two camps. Puerto Rico’s teachers’ union has filed a lawsuit in a bid to halt charter schools and vouchers on the island before they even begin. The Asociación de Maestros de Puerto Rico, which represents nearly 30,000 teachers working in the U.S. territory, filed the lawsuit on Tuesday in response to a new education law signed by Gov. Ricardo Rosselló late last month, the Associated Press reported. This law would allow charter schools and vouchers on the island, although both would be subject to caps—charters (or “alianza”) schools can constitute no more than 10 percent of schools in Puerto Rico, while the number of students receiving vouchers under the Free School Selection program would be capped at 3 percent of public school students in the first year, and 5 percent in the second. Rosselló and Puerto Rico Secretary of Education Julia Keleher have both said the law, which also overhauls the island’s school finance system and breaks up its previously unified school district into seven localized offices, will provide more educational opportunities for the island’s students in the wake of Hurricane Maria last September. Separate proposals from the island’s government would close roughly 300 of the island’s 1,100 public schools while also giving teachers raises. However, the union has argued that taken together, the new law and separate fiscal reforms will cost teachers jobs, hurt students, and dismember the island’s public education system, which currently serves about 320,000 students. “To say charters are public schools when they are going to be administered, directed and controlled by private hands is clearly an illegal and unconstitutional contradiction,” union President Aida Diaz told the AP.